Dr. Danny Ng is a retinal specialist with expertise in macular disease and vitreoretinal surgery at the CUHK Eye Centre. He is also a trained oculoplastic surgeon prior to joining the CUHK Department of Ophthalmology and Visual Sciences in 2015. Dr. Ng obtained his Fellowship from the Royal College of Surgeons of Edinburgh in Ophthalmology in 2012 and the College of Ophthalmologists of Hong Kong in 2014. He received medical degree in 2005 and Master of Public Health from the Li Ka Shing Faculty of Medicine, The University of Hong Kong. He won the Best Intern Award during his surgical internship. During his service in public hospital, Dr. Ng is proficient in cataract surgeries, minimally invasive eyelid surgeries, lacrimal duct drainage procedures, retinal detachment repair, epiretinal membrane peeling and surgeries for myopic maculopathy, macular degeneration and diabetic retinopathy. As Vice Director of the CUHK Jockey Club Ophthalmic Microsurgical Training Programme, Dr. Ng is responsible for organising the surgical training curriculum for Resident Trainees from Hong Kong Hospital Authority. Furthermore, Dr. Ng coordinates workshops for innovative and technologically advanced surgical instruments with industrial partners for Specialist Eye Surgeons. 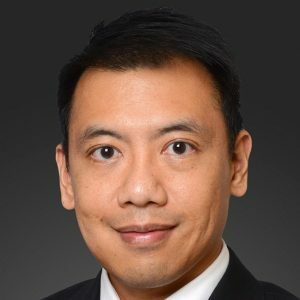 Dr. Ng’s research interest was nurtured when he was pursuing his Bachelor’s degree in Biomedical Engineering at Johns Hopkins University, USA and graduated with honors. He has been awarded the Provost’s Research Award for his neurogenetics research in X-linked adrenoleukodystrophy at Kennedy Krieger Institute, Johns Hopkins School of Medicine. He has also researched microglia activation in retinal vascular disease with Professor Mark Tso at Wilmer Eye Institute. He completed overseas training in Oculoplastic Surgery at Samsung Medical Centre, South Korea, with Professor Yoon Duck Kim and at Bascom Palmer Eye Institute, USA, with Professor David Tse. Dr. Ng was an international scholar at the Singapore National Eye Centre for Retina Disease where he trained under Professor Tien Yin Wong. Dr. Ng had published over 40 peer reviewed scientific journals, had over 12 invited lectures and over 25 presentations at International Scientific Conferences. His research presentation received the Best Scientific Poster Award at the 40th Annual Macular Society Symposium. In 2018, Dr. Ng was the recipient of the Asia-Pacific Vitreo-retina Society First Leadership Development Programme Gold Medal Award under the mentorship of Professor Dennis Shun Chiu Lam. Dr. Ng also received Asia-Pacific Academy of Ophthalmology Achievement Award in 2018. Novel therapeutics in macular diseases including age-related macular degeneration (AMD), polypoidal choroidal vasculopathy (PCV) and central serous chorioretinopathy (CSCR). Choroidal imaging and its association with ocular and systemic diseases. Pathologic myopia manifestations and therapeutic interventions. Advancements in retinal detachment surgical repair and recovery. Research of innovative technology for ophthalmic microsurgical education and the translational effect on enhancing clinical outcomes. The clinical safety and efficacy of pharmaceutical and laser interventions in medical retina diseases, including age-related macular degeneration (AMD) and polypoidal choroidal vasculopathy (PCV) and central serous chorioretinopathy (CSC). Imaging techniques of the choroid and its morphological changes. Imaging studies and clinical interventions in pathologic myopia. Phenotype-genotype studies of the role of angiogenesis in medical retina diseases and aging. Dr Ng and his research team at CUHK used the latest imaging technology in optical coherence tomography (OCT) for non-invasive scanning of the choroid, the deep layer underlying the retina, to study the morphological changes of blood vessels in AMD and PCV patients. Characterization of the structural changes of the choroid in association with disease phenotypes and treatment responses that are imperative to the optimisation and individualization of novel medical treatments. The application of OCT-angiography to study choroidal neovascularisation and chorioretinal atrophy in pathologic myopia. Identification of the role angiopoietin-2, a cytokine associated with angiogenesis, in AMD and PCV patients. Validation of a computer-generated virtual reality training environment in cataract extraction surgery, in terms of increasing the training efficiency and improving patient safety outcomes. Rong SS, Lee BY, Kuk AK, Yu XT, Li SS, Li J, Guo Y, Yin Y, Osterbur DL, Yam JC, Cheung CY, Chen LJ, Wong TY, Ng DS*. Comorbidity of Dementia and Age-Related Macular Degeneration Calls for Clinical Awareness: A Meta-analysis. Br J Ophthalmol 2019;0:1–7. Brelén ME, Ng DS, Cheung CY. The Question of Prescribing Calcium Supplements to Patients at High Risk of Age-Related Macular Degeneration. JAMA Ophthalmol. 2019 Mar 21. Ng DS, Yip YW, Bakthavatsalam M, Chen LJ, Ng TK, Lai TY, Pang CP, Brelén ME. Elevated angiopoietin 2 in aqueous of patients with neovascular age related macular degeneration correlates with disease severity at presentation. Sci Rep. 2017 Mar 27;7:45081. Ng DS, Bakthavatsalam M, Lai FH, Cheung CY, Cheung GC, Tang FY, Tsang CW, Lai TY, Wong TY, Brelén ME. Classification of Exudative Age-Related Macular Degeneration With Pachyvessels on En Face Swept-Source Optical Coherence Tomography. Invest Ophthalmol Vis Sci. 2017 Feb 1;58(2):1054-1062. Bakthavatsalam M, Ng DS, Lai FH, Tang FY, Brelén ME, Tsang CW, Lai TY, Cheung CY. Choroidal structures in polypoidal choroidal vasculopathy, neovascular age-related maculopathy, and healthy eyes determined by binarization of swept source optical coherence tomographic images. Graefes Arch Clin Exp Ophthalmol. 2017 May;255(5):935-943. Huang Y, Huang W, Ng DS, Duan A. Risk factors for development of macular hole retinal detachment after pars plana vitrectomy for pathologic myopic foveoschisis. Retina. 2017 Jun;37(6):1049-1054. Lai FH, Ng DS, Bakthavatsalam M, Chan VC, Young AL, Luk FO, Tsang CW, Brelén ME. A Multicenter Study on the Long-term Outcomes of Half-dose Photodynamic Therapy in Chronic Central Serous Chorioretinopathy. Am J Ophthalmol. 2016 Oct;170:91-99. Ng DS, Lai TY, Ng TK, Pang CP. Genetics of Bietti Crystalline Dystrophy. Asia Pac J Ophthalmol (Phila). 2016 Jul-Aug;5(4):245-52. Ng DS, Cheung CY, Luk FO, Mohamed S, Brelen ME, Yam JC, Tsang CW, Lai TY. Advances of optical coherence tomography in myopia and pathologic myopia. Eye (Lond). 2016 Jul; 30(7): 901-16. Ng DS, Kwok AK, Tong JM, Chan CW, Li WW. Factors influencing need for retreatment and longterm visual outcome after intravitreal bevacizumab for myopic choroidal neovascularization. Retina. 2015 Dec;35(12):2457-68.